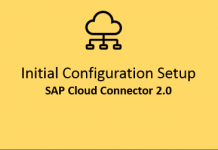 Hello SAPLearners, in this blog we will walk you through steps on how to get SAP Cloud Foundry trail account in SCP – SAP Cloud Platform. 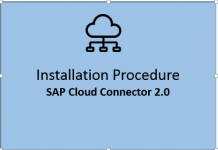 Cloud Found Environment – an open source application platform to develop entirely new enterprise application, enhance SAP products and integrate business applications. Neo Environment – a development environment that lets you develop HTML5-based, SAP HANA XS and complex Java applications. Now you know of Cloud Foundry, lets try to get a trail account and have better understanding of it. Follow these steps to get SAP Cloud Foundry trial account. Logon to SAP Cloud Platform trial account, if don’t have one register and get here. You will be navigated to Home page like below, choose Cloud Foundry Trail button. On Start Cloud Foundry Trail popup window, choose the region in which you want to create the trial instance. You have four regions to choose, i am going with Europe (Frankfurt) region provided by AWS. Hit OK to create your trial account. Congrats..! You have successfully created Cloud Foundry trail account. Stay tuned for next blog on connecting cloud foundry CLI and deploying the applications to cloud foundry.